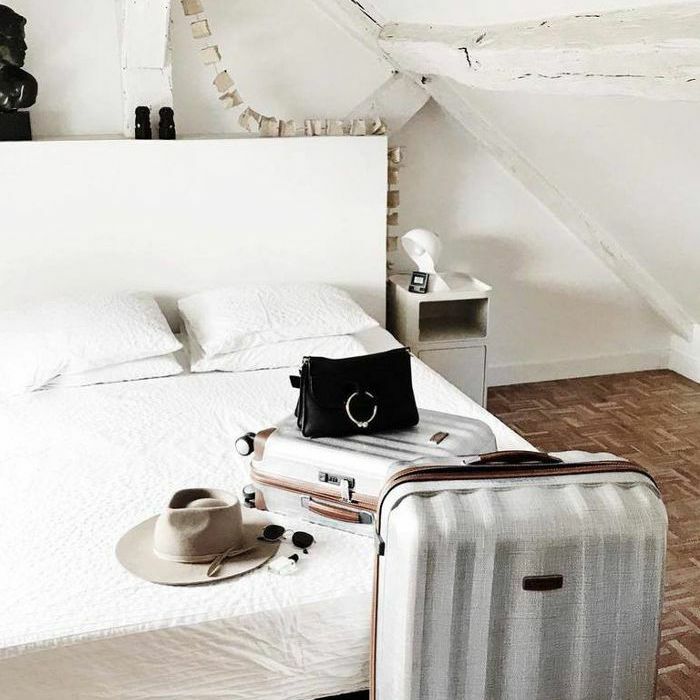 Feeling a bit anxious while gearing up for a trip is only natural, but traveling during the holidays (better known as the busiest travel time of the year) can take that sensation to a whole new level. And rightfully so, considering airport delays, long security lines, gridlock traffic, and lost luggage are only a few of the possible ramifications that are synonymous with hitting the road during the holiday season. Since the travel aspect of your journey is usually the only thing standing between you and putting your feet up for a few days of rest and relaxation at your final destination, there is a heightened sense of urgency, which doesn't suit the less-than-enticing conditions of the roads, airports, and train stations playing host to millions of people attempting to get away all at once. But there are ways to combat the expected chaos, and whether you're a seasoned jet-setter or you're finally taking advantage of a few days off for the first time in a long time, these five insider tips from PopSugar will help you navigate the hassle of traveling during the "most wonderful time of the year." 1. Choose your travel times wisely. While waking up in the wee hours of the morning isn't always ideal, taking the first flight out is. As Geena Marcelia, travel editor for Hotwire explains, "most flight cancellations are due to inclement weather that prevents airplanes from coming in. So you are much less likely to get a flight canceled if you travel early in the morning." In other words, take the first flight out if you can. 2. TSA agents are your friends. Typically agents regulate entry to security lines, so if you politely inquire about your best option before hopping in line, you might get some valuable info before making a mistake. As a Cabeau rep explains, "There is no need to get in the line that is closest to your gate; they all go to the same place. Ask an agent which line has been moving the fastest. If you are nice and friendly, they might give you a good piece of insight." 3. Make your apps work for you. There are dozens of apps aimed to ease your travel woes, so before you head to the airport, download a few of the apps recommended by Breffni Horgan, head of product and design at Hostelworld: the MyTSA app (to check security wait times and weather delays), TunnelBear (which gives you free access to private browsing), WeChat (allows you to make calls and send messages without cell service), and Flightradar24 (helps you keep an eye on global air traffic in real time). 4. Look into pre-screening options ahead of time. If you are not already signed up for Global Entry or TSA PreCheck but know that you'll be traveling over the holidays, look into these pre-screening offerings to make life easier when the times comes. Both options take a bit of stress out of the screening process, allowing you to leave your shoes on and laptop in place, which usually means the lines move a lot faster. 5. Live it up in the airport lounge. If you end up getting stuck in the airport due to weather or an unexpected delay (and even if you don't), most airport lounges offer day passes (for a fee) that will allow you to take advantage of all of the amenities like complimentary food and drink, comfortable seating, and stronger Wi-Fi outside of the chaos. The solace is usually worth the extra money. Head to PopSugar for more genius travel tips, and check out the three books that will make you smarter in a single plane ride next.